KARA: As a writer, how do you know when you’ve hit your zone? As a musician? SIMONE SNAITH: In both cases, I tend to almost forget where I am, and then when I come out of it, it’s kind of euphoric. In writing, it’s usually when I suddenly realize what’s going to happen next and it clicks with something that I wrote earlier; in music, it’s when I figure out words that both fit with the melody and say exactly what I want to say. SIMONE SNAITH: No, I don’t write every day. If I’m not in the mood to write, the best I can do is make notes. KARA: Who have been your greatest influences? Your biggest obstacles? How have you seen these shape you as a writer? 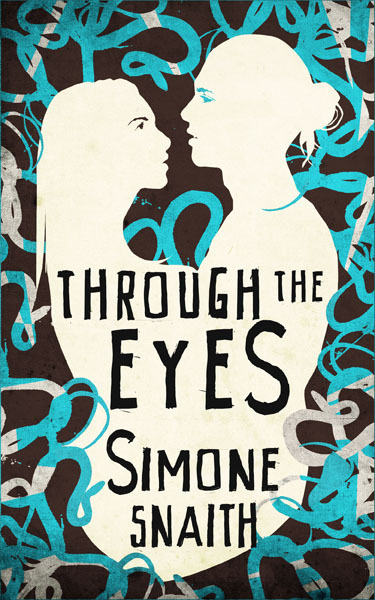 SIMONE SNAITH: I don’t think it’s apparent in my writing, but I’m influenced by the fairy tales books and classics I read as a kid, which include Pride and Prejudice, Jane Eyre, Little Women, The Secret Garden. Later influences are Nick Hornby, especially the way he incorporates music into his writing, and Emma Richler’s Sister Crazy, which has wonderful inner dialogue and a lot of emotion. I like a bit of darkness with some hope; I like slower pacing with introspective characters. As far as obstacles, I don’t think any actual people have held me back. When I first started writing, I had a hard time with dialogue. Also for a long time, I could never finish anything; I’d just keep stopping and starting new novels. In my writing classes in college, having to churn out short stories weekly was a really big help. Reading them out loud in class helped improve my dialogue too, and now I think it’s one of my strong points. KARA: What is your favorite part about developing your characters? 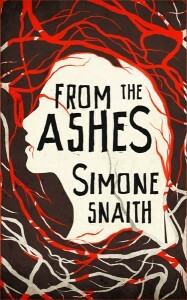 SIMONE SNAITH: I like the physical aspect, actually. I like to imagine how they look and move, and what their clothes are like, what expressions they make, etc. A lot of times, their personality traits seem to follow from that. KARA: Have you fought with your characters? Who usually wins? SIMONE SNAITH: No, I think I’ve only struggled with making plot points work. Usually I manage to! SIMONE SNAITH: Well, I’m just one blogger there, but I love getting offered books, CDs and movies to review. I’ve really enjoyed most of the materials I’ve gotten. KARA: What special twist(s) have you explored and incorporated into your young adult vampire books (From the Ashes, Through the Eyes) that make them fresh in this genre? SIMONE SNAITH: For one thing, I didn’t want the main character Lundy to desire to become a vampire. I also wanted her to be smarter, quirkier and more interesting than some of the leads I’ve come across in YA books. Her parents also have bigger roles than in many YA stories, especially in paranormal or fantasy, and I thought that was more realistic. Plot wise, the concept of Lundy’s curse is also unique: the fact that she only lives until age 16 and then is reborn again and again. The curse also causes her to see ghosts which adds another level to the paranormal theme. The sequel brings a mythological creature that threatens even the vampires, and works in issues like the bullying of a gay teen, the death of a sibling, and what kind of morality there can be among creatures like vampires. 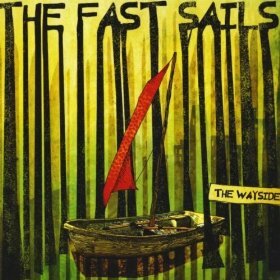 KARA: I really love your song “The Line” with your band The Fast Sails. Tell me a little bit about it. If there was one main message you would like to get across to your listeners, what would it be? SIMONE SNAITH: Thank you. “The Line” is about someone who believes that they can’t satisfy their creative drive and be in a relationship at the same time, so they sabotage relationships. There’s also an arrogance in that attitude, in the belief that their talent is more important than anything, or that it’s entirely self-contained instead of being drawn from influences and connections with other people. The message in that song is to not waste time on someone like that, like I did. KARA: You have a clear voice that reminds me of formally trained artists like Kate Bush. Which artists have influenced your song writing and your singing technique? SIMONE SNAITH: Kate Bush is definitely a major influence, but I didn’t really discover her until I was in my 20s. Growing up, I sang along to The Pretenders, Patsy Cline, Blondie, The Supremes. Those are some major vocal influences. I think the old folk songs my mom used to sing to me, as well as The Kinks who I also heard a lot, played a big part in my sense of melody. But I also grew up hearing The Clash and got very into punk rock in college, before veering back towards melodic stuff like Kate Bush and current artists like Bat for Lashes (both of whom I mention in the Fairville Woods books). KARA: Where can we find more of your music? SIMONE SNAITH: I have a Soundcloud that has some vocal samples, which I’m using it to help me find other musicians, since I decided to end the Fast Sails project. It’s http://soundcloud.com/violetyoureturningviolet. KARA: Any new books on the horizon? SIMONE SNAITH: I’m not sure if I’ll be self-publishing again but I have two fantasy novels that my agent is still working with, and I’m writing a new, realistic/contemporary YA book now. KARA: Great! For fans, what is the best way to follow you? 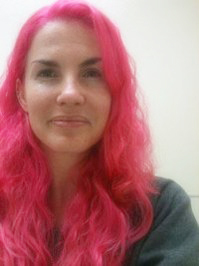 SIMONE SNAITH: Probably on twitter since I post there about both writing and music: @schimonie. There are plenty of off-topic tweets as well though, like political comments or rants! Thank you so much for stopping by, Simone. Readers, we’ve got a rare treat–an excerpt from Simone’s book (below). If you like what you see, be sure to check out Simone’s books at Amazon. The covers and trailer were designed by another talented Spell Caster, Audrey Knight! “Isn’t there a good movie on or something, Dan?” her mother asked, not looking up from her book. Lundy blinked, her reverie interrupted for a moment. “Tuberculosis?” Catherine asked him, disapproving. She had clearly not been paying attention either, absorbed in her book. Lundy gasped and stared at him in disbelief. But not before Catherine snapped her book shut and glared at him. He caught her look and winced, remembering that medical jokes of almost any kind were in poor taste these days. He gave her an apologetic look and was careful not to look at Lundy. Lundy ducked her head and bit down hard on her lip. Tuberculosis? As in coughing to death? Elizabeth Hawthorne had died of it?! “Is that her picture on the stairs?” Lundy asked quietly. “Shh,” Dan said, raising the volume on the remote. A narrator with a sinister voice began intoning the terrors of the contagious disease and its early interpretations. A series of black and white engravings or paintings of vampires flashed across the screen, interspersed with drawings of victims suffering, and people gathered in graveyards with lanterns. “Are we really watching this, Dan?” Catherine said, archly. He groaned, reaching for the remote again. Lundy frowned, staring at the images and feeling a dull headache coming on. There was something about the subject that bothered her, even distracted as she was by her dream, and the idea that Elizabeth Hawthorne had somehow been in it. Which was impossible because Lundy had not even known how she’d died. She shook her head, resisting that entire train of thought. It was a coincidence. It wasn’t like Lundy didn’t cough often enough herself to have a dream about someone coughing. That was all it was. She didn’t need madness on top of nightmares, on top of impending clinical visits.